Bosch Connected Devices and Solutions and Bühler have decided to expand their research and development partnership. Contractual proceedings to form a commercial partnership were completed on August 22, 2016 at the occasion of the Bühler Networking Days. The cooperation provides great opportunities to leverage Bosch know-how in electronics, sensor technology, and software around the Internet of Things for the food processing industry. 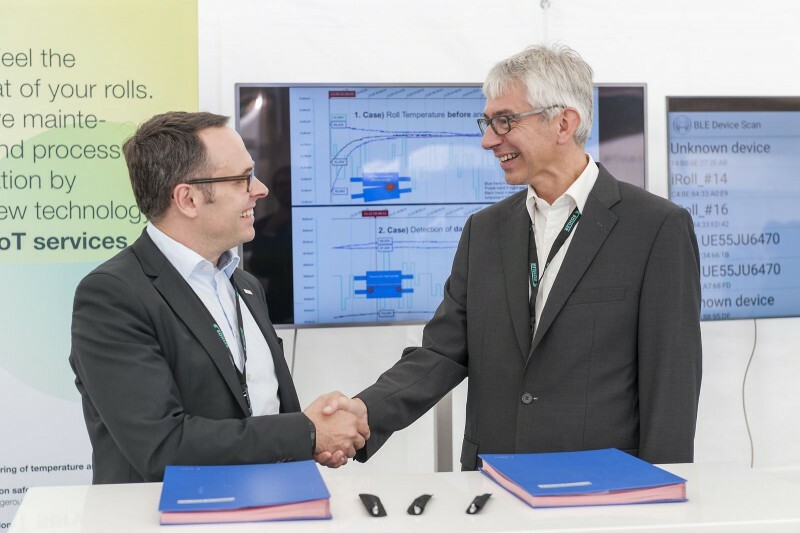 The two companies successfully cooperated in a two-year research project to integrate cutting-edge Bosch MEMS (micro-electro-mechanical systems) sensors into food production technology. The results are very promising: Individual rolls in rotating machines can now be equipped with wireless sensors to measure in real time temperature and vibration during the production process. This allows monitoring and optimization of the end product through better alignment of the rolls. Operators also benefit from predictive maintenance services, reducing down-time and operating costs. First applications from this intensified cooperation will be launched in 2017.